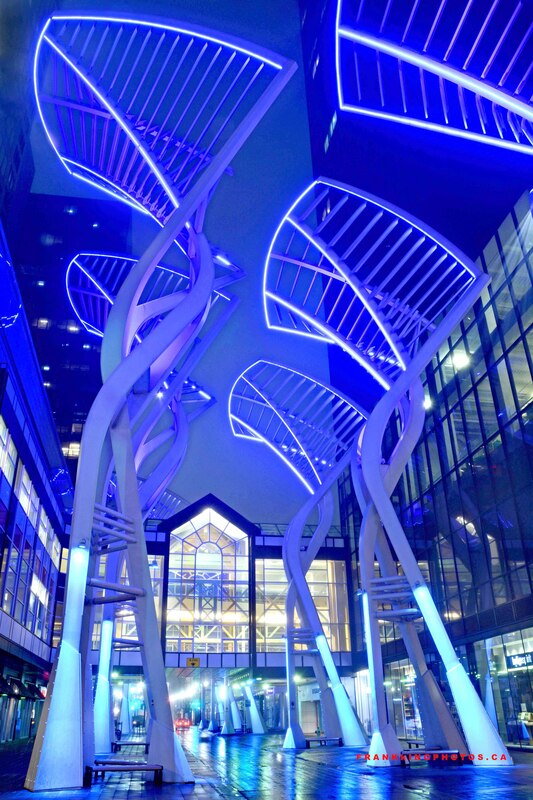 These 10 sculptures, all over 20 metres tall, were a gift from Trizec Hahn Office Properties to the City of Calgary, made in 2000. Until recently, I always found these sculpture to be a difficult photo subject, given the cramped, busy surroundings. But when I discovered they are illuminated, I tried once again and believe this is successful – especially because the wet street provides for great reflections. Nikon D7100, tripod, 18-70 mm. lens.